The mission of the Office of Research Development & Commercialization, at the University of North Texas Health Science Center, is to serve UNTHSC, its researchers and the community through the development, promotion and commercialization of technologies arising at UNTHSC. Join us on Thursday, April 9, 2019, for the next Startup Series event, hosted by Bios Partners and UNTHSC that will highlight and educate our community on the importance of entrepreneurship in Fort Worth. 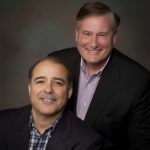 This event will feature the Co-founders of ZS Pharma, Al Guillem and Jeffrey Keyser, who will tell us their story about how they built their company that they sold to AstraZeneca for $2.7 billion in 2015. Investing in Biotech: What if you could change the future?